...and a few old champions aren't doing too bad, either. Off the back of a Premier Event and a couple of Ranking events, there’s plenty of high level Street Fighter to talk about from all over the globe. Truly, the classic Street Fighter tagline—The World Warriors—has never been more true than it is right now, with recent competitions taking place in France, Canada and Peru. This past weekend we had our first European Premier Event of the 2016 Capcom Pro Tour—StunFest in Rennes, France. Unlike the EU region events so far, which have attracted the finest talent in the region, StunFest pulled a sizeable amount of the very best Asia region players. Despite valiant efforts from Mister Crimson and the UK’s own Packz, the top eight was made up entirely of these international entrants. Evil Geniuses’ Momochi was sent to the Loser’s bracket by RZR| Fuudo in the winner’s semi final only for Momochi to battle back to the grand final. Here, he reset the bracket and eventually bested Fuudo in an incredibly exciting set, taking first place and becoming the first player not named Infiltration to book themselves a spot in the Capcom Cup at the end of the year. It's not the only time that the Asia region has come out in force to a Premier this season and dominated the competition. The results at StunFest serve as a reminder that they're the players to beat right now. Justin Wong! 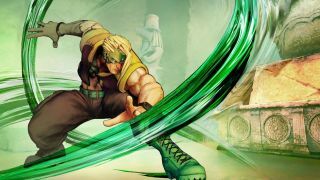 Justin claimed yet another win at a US ranking event this past weekend with a first place finish at the Toryuken event in Toronto. You see what they did there? Anyway, Justin Wong almost walked his way to first place at this event, solidifying his spot at the top of the CPT Global Leaderboard. Right now, he’s far and away the best player in the US and certainly their best chance at that first US EVO win. An interesting moment happened during the top eight, when FOX| Julio—a tournament winning Ken main—took on Ricki Ortiz, a noted Chun-Li player, and PG| FChamp, a noted Dhalsim player, back to back. Both tried to counterpick Julio’s Ken with Nash, seemingly because Ken is a tough matchup for both Chun-Li and Dhalsim. It didn’t work out, and Julio defeated them both to face Justin Wong in the Grand Final. In the top ten players on the CPT Global Leaderboard right now, four of them are Ken-exclusive players. It’s a character that elite players seem to be getting to grips with after initially finding his stubby normals and weak fireball to be severely detrimental to his overall game. It’s another example of how little we know about SFV right now. We must remember that three months, in Street Fighter terms, is absolutely nothing. A special mention this week to the Evil Geniuses team, who have really turned their fighting game fortunes around since the release of Street Fighter V. Sure, Momochi won EVO, but it was after that horrible stick malfunction and one of the most anti-climatic wins in the history of the event. Seriously, you’ve never seen a more gutted winner of EVO, he looked like he had lost a bet. Only he and Justin Wong qualified for Capcom Cup 2015, the rest of the roster failing to win a Premier or even gain enough points to guarantee a slot, and both of them failed to make top eight. Now, things are looking up. Momochi qualified for Capcom Cup this weekend and Justin is almost certainly on enough points already to guarantee a place, but the rest of the roster—Ricki Ortiz, K-Brad and PR Balrog—are all finishing consistently in the points whenever they compete. Currently, all reside in the top 25 players worldwide. As other big name esport sponsors join the FGC, EG is clearly setting a high standard. The final event of the weekend was Lima Salty 3, from Lima, Peru, the first time the Pro Tour has stopped off in the country. The tournament was won by BROOK| Misterio, who to be honest I don’t know much about. In fact, most of the competitors in this tournament were relatively unknown, but that is one of the major things this new Pro Tour structure is designed to cultivate—new challengers from the different regions. It’s going to give more players the chance to rise up and challenge the very best players in the game and potentially create more ‘Rocky’ moments, like when the relatively unknown Keoma from Brazil shocked everyone with his amazing Abel at Capcom Cup 2015. At the top of the Latin America CPT table, Misterio shares the spot with none other than Justin Wong. Because he travelled to the first Latin America ranking event in Brazil last month and won it. Of course he did.